some great football memories from back then. Brown had friends here, and left on good terms...hard to believe he hasn't been back in the last 31 years. I started Tulane in '88 so I missed Mack, but this brings back my first memories Tulane on and strong football memories I still can't shake. I came to Tulane based on what I wanted to do (architect) and where I wanted to be (a southern city) at the best possible school I could go to. Grew up in Virginia with no Tulane or New Orleans connections. 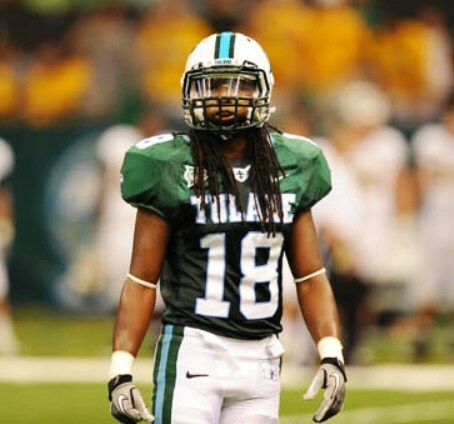 Driving down to a school I never visited and a place I had never been, I learned the first couple of things about Tulane footballl. My dad grew up in Atlanta decided for the first time to tell me how he grew up going to GT/TU games in the glory days of their SEC rivalry which h never bothered to mention during the whole application process (aside, we visited the projects he grew up in on Capitol or Central(?) where he'd steal rides on the streetcar to the Varisty and bobby Dodd stadium). My dad's reminisces started when we heard the Tulane coaches show in central Virginia early in the evening courtesy of WWL and heard the hype for the '88 season. Between the radio show and my dad's stories, I thought holy doody! This academic school I applied sight unseen and new nothing about played some real football! We got to New Orleans and they were passing out the Louisiana Jones and Dome of Doom heisman hype posters, grappled mine and forgive me Terrance, poke his eyes out and put the poster on my window so whoever I woke up- the daylight only showed through Terrance Jones eyes as he stood over the dome with his whip. End of story, I got hooked immediately and the linked story brings it all back.